The pocket-friendly RFK has all the strength of a larger knife while giving you plenty of gripping power. 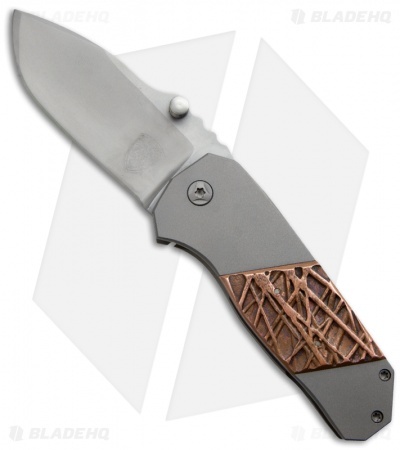 The frame lock handle is titanium with a TextureTech copper inlay recessed in the front scale. The satin finished pocket clip on back is set for tip-up carry. 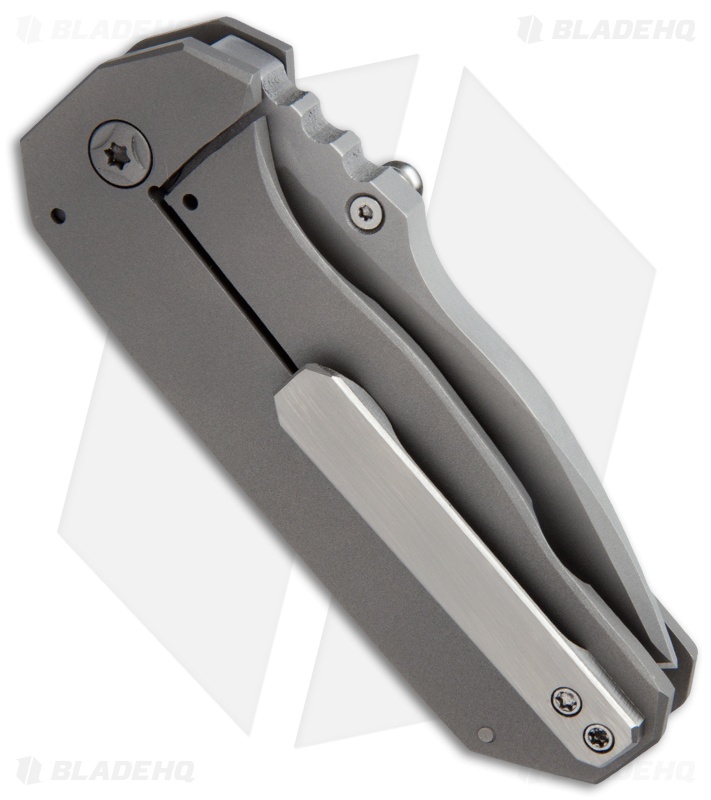 This folder from Sheepdog Knives has a thick A2 steel blade with a bead blast finish and grooved thumb stud.